I’d much rather take my pen and paper, my abstract mind, my struggling poetic voice over to the school of fish. I’d find more peace, though it may be rough and smelly, navel-gazing with the fish, their coats of small shining shards of fish fashion. The blues and greens and browns sewn on like a quilt of slimy mosaic, smelling of the sea. Like a stained glass of small cut pieces, the whole is more telling than a microcosm of the total package. I’d rather meditate and pontificate on the scales which can hurt a girl’s hands rather than the other ones that have hurt girls’ hearts. Not the ones that society would do well to just plain do without. Throw the scales out with the bathwater. Not the ones that bind and shackle, tease and taunt, tell a number, a false gauge of worth. Not the heavy object that pulls to itself, power-grabber, as a magnet, calling out in a weighing heavy metal empty whisper, from the floor, wielding power it’s stolen from the true granter of worth and praise. Take the scales off my eyes, that blind me when I try to see, Truth, is not a number. Remove the scales, deadskin flaking, keeps me from true beauty. 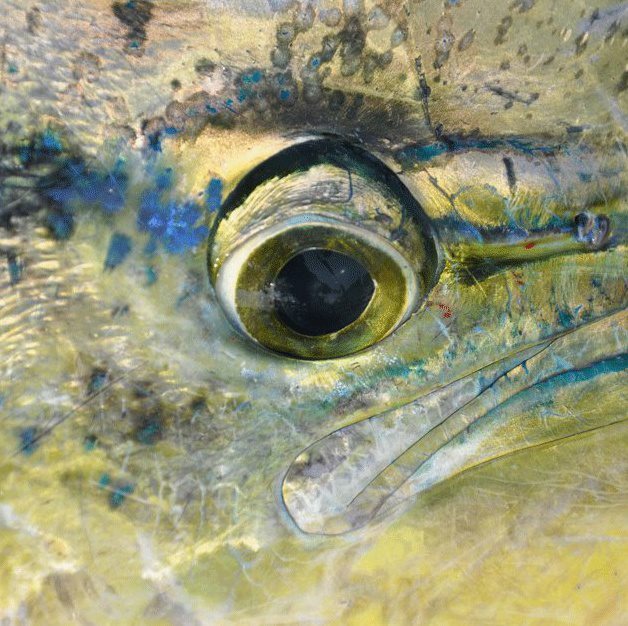 Give me beauty, true, blues and greens on the fish that swims so free, in its coat of many colors, allowing it to blend into the beautiful, blend into the sea. Who sets the captives free. Writing on the concrete helps us understand the abstract. And Amber Haines does it as well as anyone I know. She’s got a great little community of writers writing on scale today. I am there too. And I am joining Laura at The Wellspring. And joining Ann at A Holy Experience, though I am quietly walking through my up and down again counting. Lord, give me a disciplined heart for seeing your gifts. Ashley, I didn’t realize how much I missed Mondays with Amber until I saw the list of prompts and then today actually rolled around. Writing on Mondays is great fellowship and its a challenge. I am stretched, girl. Thanks for hearing me so well when I write. I wonder if anyone will and then you do. GIFT. Grateful here for your encouragement raining down on me. Tanya, great to see you writing at Amber’s place. Always challenged and always inspired by all who gather over there. Hope you start to feel better so soon, friend. Lovely, abstract post. I found you through Laura’s place. I’ve been hearing alot about Amber’s concrete/abstract challenge. I need to try it myself. I’m just a bit intimidated by writing via prompt… I have also been reading your and Holly’s graceful poems through the Adagio Project. What a glorious piece! Tonight for SDG, I’m blogging “au naturale” and encouraging women to come authentically, no matter what their scales look like! GORGEOUS! Love the paradox…revel in creation or weighted by man? Nice write Elizabeth! Like others who have commented before me, I agree that you’ve blended so much into this beautiful piece of writing. I am still considering the writing of my own “scale”, my post began to swirl a bit this afternoon when I had a quiet moment. So glad to be here today friend. “Take the scales off my eyes, that blind me when I try to see, Truth, is not a number.” Glory! Yes. Elizabeth, I love what Amber’s prompts bring out in you. This is lovely, deep truth. Thank you for blessing me with these word pictures. When I looked the scales of fishes and reptiles, I am speechless of its beauty. Thank you your abstract words that all the abstracts inti a beautiful dance of being. really nice. love the image of the stain glass pieces in a school of fish! Oh how when the Spirit speaks like when you said “Take the scales off my eyes, that blind me when I try to see, Truth, is not a number.” That is what He spoke to my heart as well, before ever reading your lovely scales here. Thanks for stopping by. I, too, would rather wander here than to the scales that can hurt girls’ hearts… I have missed you! I believe that it was Saturday or Monday when I had similar ‘scales’ images come into my mind. However in my instance it was refers to those crazy scales of the old nature…that aren’t too deeply attached but just hurt so much when you are trying to get rid of them and let that new nature shine through. i was struggling with my pride and some things that i thought we uncalled for and knew that I was in the wrong and that so often its just those little old ways that seem to cling..and while you might think them protective or helpful…they are just getting in the way of being made ‘reborn’. and amen on the call to throw the scale out with the bathwater. It has only been in the reading of some blogs and especially Emily’s blog that i have found that I have more of an issue with my view of self then i have recently acknowledged and have learned to come in desperation before the throne to seek HIS face about how HE sees me. love you dear friend…your words always tug at my heart…and make me yearn for more. Be blessed.